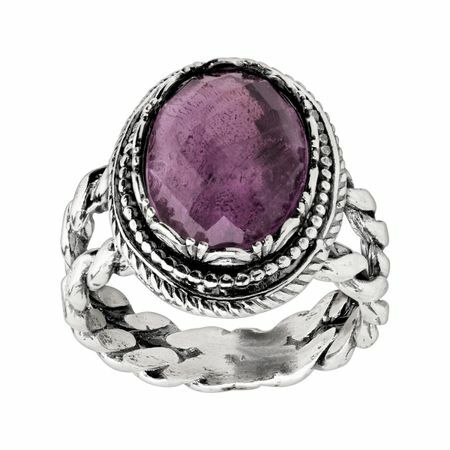 Two strands of sterling silver twists meet at a bold amethyst, encased in rings of detailed carved and etched décor. Ring face measures 3/4 inches in width. Piece comes with a “.925” sterling silver stamp as a symbol of guaranteed product quality. Ring face measures 3/4 inches in width. Piece comes with a “.925” sterling silver stamp as a symbol of guaranteed product quality.